I work with a variety of small businesses and often get involved in helping them set up a new website. A common question at the briefing stage is ‘should I have an online shop’? In most instances having an online shop isn’t the priority, the business might be considering going fully ecommerce in the future or they might already sell a few products that complement their core service offline and want to see if they can sell them online as well. Unless selling online is business critical my advice is to test the potential of ecommerce for your website first. One of the easiest ways to do this quickly is using a paypal account. In this blog I’ll outline how to do it in 5 easy steps. With over 150 million active accounts PayPal makes it easy for you to quickly set up a PayPal business account. There is no monthly subscription cost for their standard payments account. You just pay 3.4% commission + 20p on each transaction. The easiest products to sell online are typically low cost – as there is low risk for the buyer who might not be an existing customer. It is also low risk for you in case you experience any teething problems. Ideally the product or service you are selling online should already be selling well offline. For example a designer lighting company who want to make it easier for their customers to buy lightbulbs for their lights. Rather than only securing a sale when customers are passing their showroom they can make it easier for customers to order them online. Other relevant examples could be a music teacher offering sheet music for their students or a hairdresser selling hair care products. 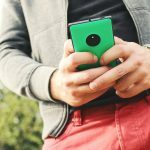 Create a page with lots of images (even better a video) and text describing why the visitor to the page should buy the product. Try to think of why the purchaser should buy the product from you and state these reasons clearly. Clearly detail how much the product costs including any postage and packaging (P&P) costs if they apply. You should also detail your terms of business here as simply as possible. See a basic example below. To increase the potential of new customers finding and buying your product you should consider search engine optimisation (SEO) – optimising the page’s content and page meta for the search phrases customers might use to find your product. If you have a blog, launch the product online with links back to the product page. Share the news to your email database, if you have one, and via your social media channels too. Once you have a nice detailed web page for your product you need a strong call to action via a PayPal buy button linked to your PayPal account. 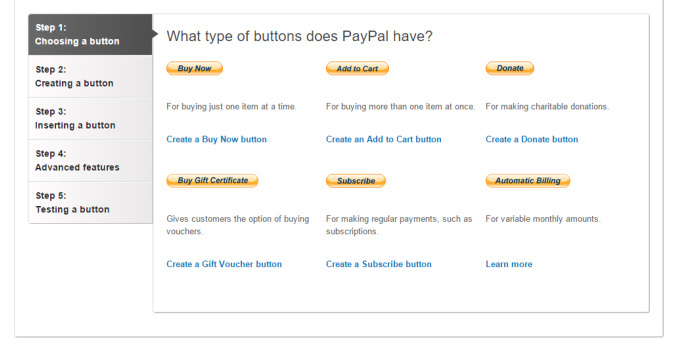 As you can see above PayPal offers a number of different buttons but let’s keep it simple with their Buy Now button for a one off purchase. So you select the button you want to use then PayPal asks you to name the item, your price (plus P&P costs if relevant). Once you have done this you click ‘Create Button’ and you can see what your button will look like and then follow the instructions to insert the code so it shows on your website, or email if you prefer. I would advise you to display the button in a prominent location on your product page after you have summarised the product. Here’s an example I created for my Dad’s walking blog, guysrambles.co.uk. I should make it clear that buyers don’t have to use a PayPal account to make a purchase. 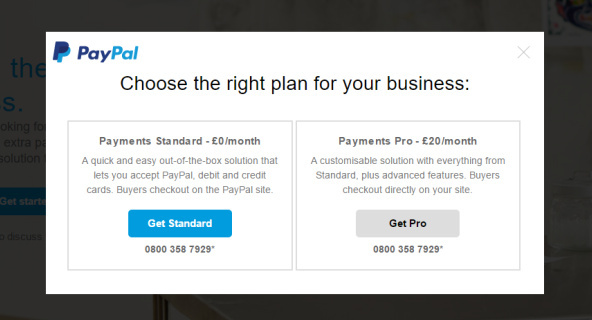 Buyers have the options to use either a PayPal account or their preferred debits or credit card account (most are accepted – see the card icons in the image above for examples). Once the button is in place test it works using your own bank account. And then you’re good to start selling. When a transaction is made the money will be credited to your PayPal account minus PayPal’s transactions fees (see above). You’ll also receive an email notification of the transaction. I advise setting up an automatic ‘thanks for your purchase’ email which immediately acknowledges the customer’s purchase or if you check your emails regularly you can respond manually. In the first few weeks it might be worth double checking your spam folder in case emails from PayPal are going in there. You might also want to consider sending buyers back to your website once they have completed the transaction via PayPal’s advanced features tab. Typically this would be to a thank you page with your contact details to reassure them that they will hear from you soon. I hope this advice gets you successfully on the road to testing the ecommerce potential of your website. Please get in touch if you would like to discuss ecommerce websites or online transactions further.